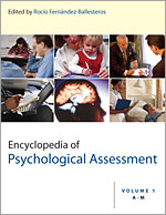 Psychological assessment is a key component of psychological work. Devices of scientific assessment are necessary for adequate describing, diagnosis, predicting, explaining or changing the behavior of all subjects under examination. This collection offers complete coverage to facilitate action in each of these areas and will consequently be invaluable to psychologists in any applied setting.